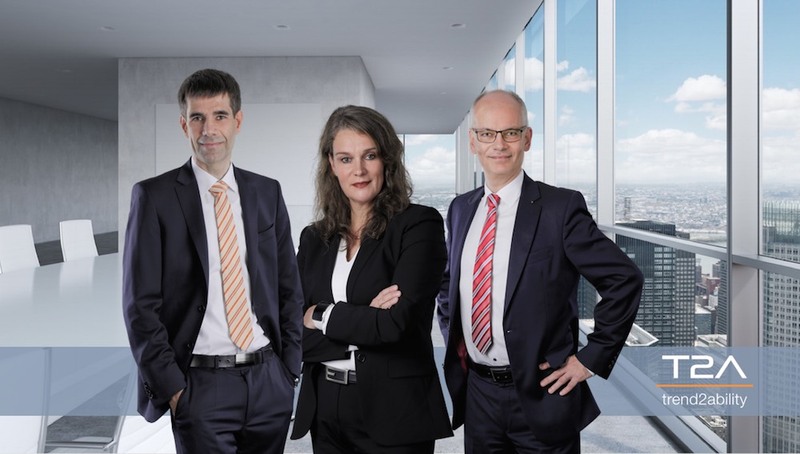 Picture (from left): Patrick Müller, Christina Rode-Schubert, Uwe Fischer. Patrick Müller is an independent consultant and managing partner of TCI Transformation Consulting International GmbH. His consulting focus covers the areas of IT strategies, IT architectures and business processes. In the last 15 years he has been involved in the founding and management of two start-up companies, both of which have successfully positioned themselves in the market. One of his consulting topics is “From trend to ability”. He supports companies in learning more about the trends that are important to them and deriving the relevant skills from them. For example, he advises customers on the skills they need for the megatrend of individualization and how they can then build them up. He builds on 18 years of experience in variant management and variant configuration projects. Christina Rode-Schubert acquired her personal tool box and agile methods knowlegde first at the universities of St. Gallen and Santa Clare, where she studied Business Engineering (BE) and completed an Executive Master of Business Administration in BE. Technological topics are her core competence and innovations her passion. Her customers include global players from the healthcare industry, with a focus on MedTech, as well as from building technology and the automotive supply industry with topics such as Smart Home and Smart City. Christina Rode-Schubert develops digital solutions and new business models in the Internet of Things (IoT) with her customers. She is particularly interested in corporate start-ups and scale-ups. Christina Rode-Schubert helds several board and advisory board mandates in the MedTech segment. As a graduate engineer in aerospace technology Uwe Fischer knows the importance of technology, complexity and innovation. He has proven in practice that unconventional solutions are often the right ones, both at the Fraunhofer Institute for Industrial Engineering and Organization and as CIO of a plant manufacturer in the ABB Group. As a founding partner of TCI, Transformation Consulting International GmbH, he has been advising and supporting companies, teams and individuals in transformations and demanding projects since 2003. One focus of our experience is the professionalisation of project business in medium-sized plant construction. Due to his numerous projects in the fields of trade and universities, he can contribute further industry expertise.